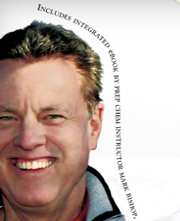 A textbook intended for use in beginning chemistry courses that have no chemistry prerequisite. 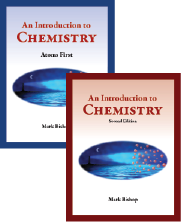 The text was written for students who want to prepare themselves for general college chemistry, for students seeking to satisfy a science requirement for graduation, and for students in health-related or other programs that require an introduction to general chemistry. There are two versions of the text. The atoms-first version provides a more complete description of atomic theory, chemical bonding, and chemical calculations early. 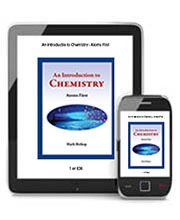 The chemistry-first version has a early emphasis on descriptions of the structure of matter and the nature of chemical changes, postponing the description of unit conversions and chemical calculations. Both versions are available as regular printed books, but they are also available on the Internet with no usernames and no passwords. One of the recent additions to the project is the creation of an electronic text/tools/homework package in partnership with WebAssign. WebAssign lets you deliver fully customizable assignments that are instantly graded in a secure online environment. Both versions of the text are available in a form that can be viewed on iPads, iPhones, Android tablets and phones, and the Kindle. Click on one of the links below to download files for your tablet or phone.